The Malliard Report hosted by Jim Malliard has joined Take 2 Radio as a special host to talk about all things paranormal and more! Listen to his shows every Saturday at 7pm EST. Guest: Ariel Conn is a Seismologist that has started a project to link Paranormal Activity and Earthquakes. How does being a Seismologist mesh with the Paranormal? What made Ariel want to build her project www.ScienceGhost.com? Can earthquakes be predicted? Are there induced earthquakes? Where in the United States is ... Maggiori informazioni this happening? 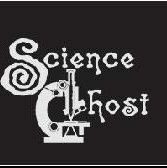 Everyone wants more science applied to the paranormal, share your paranormal experiences with Ariel Conn at www.ScienceGhost.com What's next for Ariel Conn? All these questions will be answered when you listen to the show on 08/16/14 7pm eastern!